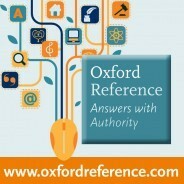 Oxford Reference brings together 2 million digitized entries across Oxford’s Dictionaries, Companions, and Encyclopedias, spanning 25 different subject areas. Love and literature are perfect companions. Love has been, and continues to be, an inspiration for famous and celebrated authors around the world, who have written great literary masterpieces on romantic infatuations and passions. The characters they depict make a lasting impression on us, the readers – after all, who hasn’t dreamed of the Juliet to their Romeo, or the Ron to their Hermione? From tempestuous flings to life-long romances, the couples we find in the pages of the books we read are a cast of diverse characters. From the pride and, well, prejudice, of Elizabeth Bennett and Mr. Darcy in Jane Austen’s classic work, to the through-thick-and-thin romance of Peeta and Katniss in the iconic The Hunger Games trilogy, we’ve all identified ourselves and our beau with one literary couple or another. This Valentine’s Day, why not find out for yourself which literary couple you and your star-cross’d lover are most like with our quiz? Image credits: (Featured) LOVE love by Usbkabel. CC BY-SA 4.0 via Wikimedia Commons. (Quiz background) Paper Romance. CC0 via Pixabay. How could you misspell Hermione? Now I can’t share my results!